As the Syrian civil war drags on, mainstream media and policy wonks have increasingly been pointing fingers at the United States. The New York Times suggests America is "sowing the seeds of future insurgencies." The International Crisis Group, a global NGO devoted to preventing armed conflict, finds that U.S. handling of Syria helps to "boost the appeal of more radical groups." While blaming America for Mideast mayhem is hardly unusual nowadays, this time it's not just the usual suspects leveling the charges. Three analysts at the conservative Heritage Foundation find that U.S. policy toward Syria "contributes to a wider regional conflict." Danielle Pletka of the American Enterprise Institute writes that the carnage is "a stain" on the hands of U.S. policy-makers. David Schenker of the Washington Institute for Near East Policy argues that American missteps have "resulted in the radicalization, Islamization and jihadization of the conflict." Whoops. All of these accusations have a remarkable twist — the United States is charged with exacerbating the conflict in Syria by not getting involved in it. The narrative goes something like this: In the spring of 2011, the predominantly Sunni Arab Syrian population rose up against its Alawite-dominated government, only to find itself outgunned by the Iranian-backed minions of President Bashar Assad. With Washington and other Western governments unwilling to intervene militarily, or arm the rebels, the Syrian people looked for help wherever they could find it. Seeing an opportunity to commandeer the uprising, the global Sunni salafi-jihadist movement poured money, personnel and material into the country. In turn, Alawites and other minorities retrenched behind the regime, ensuring a bloodbath. While much of this is true, the claim that jihadists "hijacked" the revolution because ordinary citizens had nowhere else to turn is misleading. Syria had been experiencing a Sunni Islamist revival for years prior to the current uprising. Assad managed to contain it by easing government control over religious expression and sponsoring Islamist causes in Iraq and Palestine. However, there was never any doubt that a precipitous breakdown of state authority would produce a radical Islamist counterforce, particularly in an atmosphere of sustained sectarian polarization and violence. And there was never any doubt that the Sunni Arab Gulf monarchies would actively cultivate this counterforce as a means of gaining equity in Syria's postwar political order and appeasing jihadists at home. The United States is not entirely blameless in this predicament. Washington contributed for decades to the international conspiracy of silence that condemned the Syrian and Lebanese people to servitude at the hands of the Assad family, and it was very slow to unequivocally break with the regime after the start of the uprising last year. Coming on the heels of quick American decisions to abandon Egyptian president Hosni Mubarak and the late Libyan leader Muammar Qaddafi, this conspicuous hesitation dampened morale in Syria, undercutting whatever slim chances existed for the kind of mass mobilization and government splintering that might have averted the country's descent into civil war. But that ship sailed in the early months of the uprising (and, for the record, the rest of the international community, including Canada, also missed the boat). Since the gloves came off, America's capacity to influence the course of events in Syria has been minimal. Enforcing a no-fly zone might have saved lives, but it wouldn't have altered the composition of forces challenging Assad. Patronizing carefully vetted rebel units wouldn't have ensured the collapse of the regime "in weeks," as some interventionists insist, and even if it did, there's no reason to believe it would have ended the increasingly multipolar ethno-sectarian struggle for supremacy in Syria. Whatever America's failings in Syria (and there are many), they cannot be shown to have decisively impacted the trajectory of the conflict once it started. The propensity of many interventionsists to claim otherwise is troubling. While CNN correspondent Arwa Damon's frequent assertion that the Syrian people consider the United States to be "as culpable for the deaths that are taking place as the Assad government itself" is patently false, there is a danger that people will actually come to believe this nonsense if interested outsiders constantly regurgitate it. Insisting that the course of the war "is all in the hands of the Americans," the head of the Free Syrian Army military council in Damascus recently vowed to "hold them responsible for more victims." Let's hope this nutty conspiracy theory doesn't catch on. 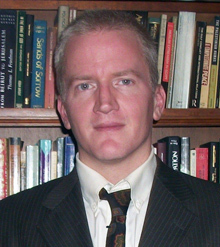 Gary C. Gambill is an Associate Fellow at the Middle East Forum.